The moose hunting season has started in Sweden and Pär Sanner’s fourteen-year-old daughter joins him in the woods one cold October morning. Petra Wilander is a member of the same hunting team and she gets suspicious when father and daughter do not return when the team gathers. Pär is found dead while the daughter is missing. Pär was not particularly liked by many in the town and everyone on the hunting team becomes a suspect. Pär’s widow has secrets of her own and lies to the police. Journalist Magdalena Hansson is on maternity leave but is afraid of losing her job when her newspaper is about to make budget cuts and gets involved in the reporting of the case. 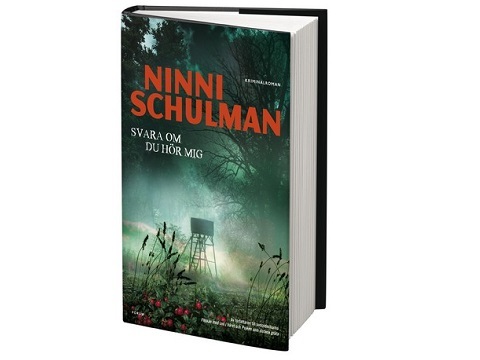 The novel is Ninni Schulman’s third in the series that takes place in Hagfors and its surroundings. Just like in her previous books she depicts life in a small town and people’s relationships, and she does it very well and in a believable way.